AAF International is a leading global provider and manufacturer of filtration equipment, specializing in complex clean air systems. AAF is widely recognized for its focus on providing high quality and reliable filtration equipment that sources a number of industries' needs. AAF International offers over 90 years of experience in their field, ensuring they are an ideal choice for clean air equipment and more. EquipNet is constantly receiving used AAF equipment through our exclusive contracts with our clients. Our inventory of used AAF equipment includes dust collectors, air and cyclone separators, air handlers, miscellaneous processing equipment and more. If you do not see the used AAF International equipment you are looking for, call one of our representatives and we'll find it for you. We can also source the right tooling and change parts that you need through our huge network of corporate clients from around the globe. AAF International manufactures a number of dust collectors and dust collector parts, including wet dust collectors, dry dust collectors, mist elimination equipment and much more. AAF dust collectors are recognized for their high performance and quality. 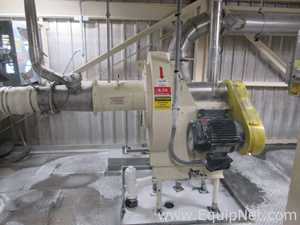 EquipNet carries an array of used AAF dust collectors in various models and styles and more.